I did a quick search and I came across this topic on Tom's where they were saying that a file called C:\END belongs to Conduit which is a well known PUP (Conduit Toolbar, a search hijacker essentially) and I suspect that's why this is being detected, most likely via a heuristics signature designed to target that threat. Only Research would know for sure though. Greetings, From the sound of it there was most likely either some kind of infection that damaged the system in the process of either trying to prevent itself from being removed or that damaged the system during removal (such as corruption of the registry; a definite possibility). Such occurrences, while rare, unfortunately do happen which is why it's very important to prevent threats as much as possible and to keep regular backups of important data. Obviously without analyzing an image of the system no one can say for certain precisely what went wrong or what caused the issue, so this is just my speculation based on your description, however if incidents like this were common we'd have far more users complaining about it as ADWCleaner and Malwarebytes other tools and products are used every day by millions of people around the world and I assure you that if something like this were at all common, the tool would be pulled for analysis and correction immediately because the last thing anyone at Malwarebytes wants is for their users to suffer issues like this. 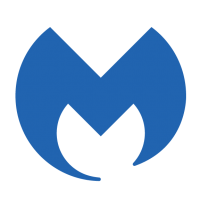 If you are able to gather any more data about the incident please don't hesitate to either post it here or if you prefer to keep it private, contact Malwarebytes Support directly to submit it. They may be contacted via the form on the bottom of this page if you do decide to contact them. Every time we release a new version we have to check it once on virustotal to prevent false positives. Can you give me an anwser? I have used this program around 40 times with great success and no problems. I removed two stubborn PUP virus/trojans to perfection with it plus a Sync reset. A friend of mine ran this program on their new Windows 10 laptop and it wrecked their PC. Nothing worked or showed and they were totally devastated. I have no more details, but do know they tried a system restore and it did not work. The PC was useless. A second system restore ran for quite a while, but eventually finished and the PC was restored back to its 3 days ago status and now works perfectly. My friend is not technically minded but is reasonably IT experienced. I do not know more details of what exactly they did, but they did say that after downloading AdwCleaner there was no shortcut on their desktop ?? How can a popular program issued by a reputable source like Malwarebytes do such a thing ? It seemed to have been fixed, but it has, apparently been "unfixed." Several weeks ago, I had to manually exclude the file from MBAM's detection engine. MBAM had not detected CareUEyes 1.20, but after the program updated itself to v1.21, MBAM ate the 1.21 exe. Since I had had no problem with v1.20, I uninstalled v1.21, then installed 1.20 again, then unchecked the "check for updates automatically" in the CareUEyes gui. Somehow, CareUEyes updated itself anyway, which made me assume that, when MBAM ate it again, MBAM didn’t like the presumably newer version of careueyes.exe. I had no problems with it after that until today, when MBAM did the same thing. which, annoyingly, when that happens, requires a reboot: MBAM has to completely digest it before it can be restored. My friend Norton reminded me that the digital signature on careueyes.exe is invalid, but that's not the problem. Only one out of 66 engines at Virus Total flag the file. The careueyes.exe that's in AppData\Roaming\CareUEyes says product version 1.1.0.6 and product version 2017.7.28.1. The spooky thing is that, a few days ago, I’d restored my system to a Macrium image I made after I’d first installed CareUEyes but before I’d manually excluded it from MBAM, and MBAM was happy with it for several days before deciding that it was evil. Thank you for your answer. But when I went to to https://my.malwarebytes.com/en/login and logged in, I watch a text called Add licence. If I select this hipertext I could write a license code I have bought prevoiously, but I can't use it to buy the second license. Where could I buy the second license code cheaper as I watched on Malwarebytes website? In System preferences on MacBook Pro, the Profiles tab is showing a Profile named ArtemisSearch. Is this malware? This new version of malwarebytes will not let me activate my LIFETIME license and key #'s...I got a robot we'll get back to you later msg but I've heard nothing since.. any suggestions?? Or any other Programm that you can help me better, and i really think this file in my Registry editor is the last part of the virus, i deletet over 100 FIles manual and this is the last one where it is not working, if it recreates it self i will destroy the other parts. Its not in my Quarante, I dont know how to disable it, do you have discord? I really need your help. Looking good. Glad we could help. Thanks for your help exile360. Guess I'll just wait for a MB staff member to chime in and check my license status as to how many seats it has. Also to help me with my My.Malwarebytes.com account.